These were the two most important days on this venture, and the prime reason for the trip. I spent a considerable amount of time in the library of the Hamar Railway Museum, which was first established in 1896. 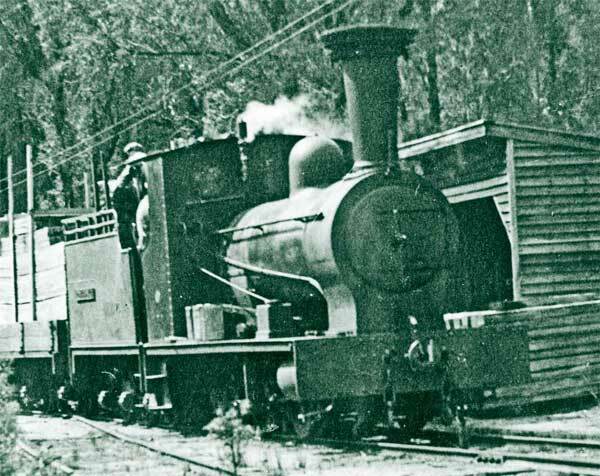 It is now extremely well set up, and perhaps it's nearest Australian equivalent is Workshops Railway Museum [Ipswich, Queensland]. However Hamar is big enough to include several relocated station buildings complete, and with the interiors set up as they would have been about 100 years ago. The selection of buildings and rolling stock is good, they have some gems, but unfortunately the display of some of the rolling stock is very confined, making photography difficult. I had advised the library that I was coming and what my special interests were. Thor Bjerke, who works there could not have been more helpful. He had already made a large table available for me and had set out many books and documents, and as the day progressed he brought out more. Working with documents in a foreign language has it's own complications, but I was able to photocopy or photograph everything of interest to me, so that I could take it back to Australia and translate it at my leisure. Thor is himself a railway historian of considerable achievement having authored or co-authored some of Norways's most authoritative railway histories, including the standard work on Norwegian steam locomotive, a magnificent production, and now unfortunately out of print. I have been trying to get a second-hand copy for years without success, so had to go to Norway to see a copy. One of the most moving highlights of this visit, and something for which I felt very privileged, was to handle the original work books of Carl Pihl, covering the period c.1855 to c.1890. Carl Pihl was the architect of the pioneer 3ft 6in gauge lines and these books had meticulous hand written notes, calculations, comparative dimensions and statistics. They included such things as tests on various weights of rails, calculations for various types of bridges, the original specifications for the earliest 3ft 6in gauge locomotives before they were built, and calculations of practical radii for curves. Much of this was in English, with most of the remainder in Danish (Norwegian did not really exist as a separate written language at that time), and it was obvious that everything they were doing was strongly influenced by English engineering practice, and to a lesser extent American practice. Some of this material was too fragile to photo-copy, but it could be photographed. For those interested in this I had done some tests before leaving Australia to perfect the technique. Fortunately the lighting in the library was good. I used a Pentax K20D digital SLR with a Pentax 16-45mm zoom lens, generally set around 38mm. I used aperture priority at F8, set the ISO at 800, and this generally gave an exposure of around 1/150 sec, which was good for hand-held shots without flash. This seems to have produced good usable results.